In the years before their accession to the EU the Visegrad states considered their collaboration also an instrument to achieve their common goal the EU membership. However, since May 2004 the Group had to re-evaluate its purposes and to redefine its activities. 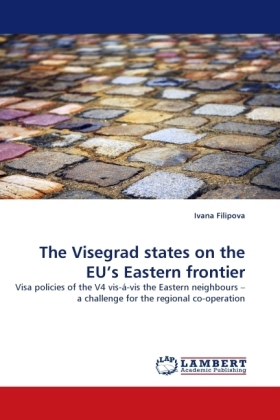 The V4 not only share the EU's Eastern frontier, but also the responsibility for implementing the EU's policies towards the Eastern neighbours. The studies, dealing either with the current EU endeavours for successful implementation of the Eastern dimension of the ENP, or with the tendencies in regional co-operation and integration processes in Europe are numerous. This book is based on carefully selected materials related to the strategic importance of the Visegrad Group for the development of EU relations with the Eastern neighbours. With the evidence of collected data this research focuses on the declared goals of the V4 in a chosen JHA area the visa policy that activates a variety of mechanisms for continuing regional cooperation. The book should serve as a useful source of information for those interested in the region of Central Europe and the EU's Eastern neighbourhood.